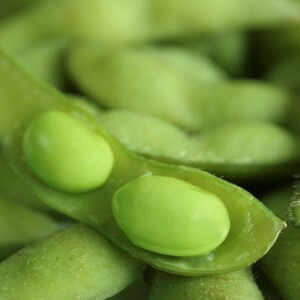 A genetically engineered food is a plant or meat product that has had its DNA artificially altered by the inclusion of genes from other plants, animals, viruses, or bacteria, in order to produce foreign compounds in that food. This type of genetic alteration is not found in nature. Today, the majority of corn and soybeans grown in the U.S. is genetically engineered to produce pesticides and/or withstand high doses of weed killer. Much of our sugar also comes from GE plants. Ingredients made from these crops are found in countless packaged foods such as cereals, baby foods, breads, chips, and many other products. And new GE ingredients and foods are being developed and marketed all the time. For example, the FDA recently approved the first genetically engineered animal intended for human consumption: the AquAdvantage Salmon, modified to increase the fish’s growth speed. The high usage of pesticides with many GE crops is also a large concern, and yet in March 2016 the USDA deregulated new strains of Monsanto GE corn that are tolerant of two new weed killers- developed partly in response to increasingly RoundUp-resistant “superweeds”. Without proper labeling we have no way of knowing if the food we buy has been produced using genetic engineering. As of January 2015, there is still no scientific consensus on the safety of GMO foods. 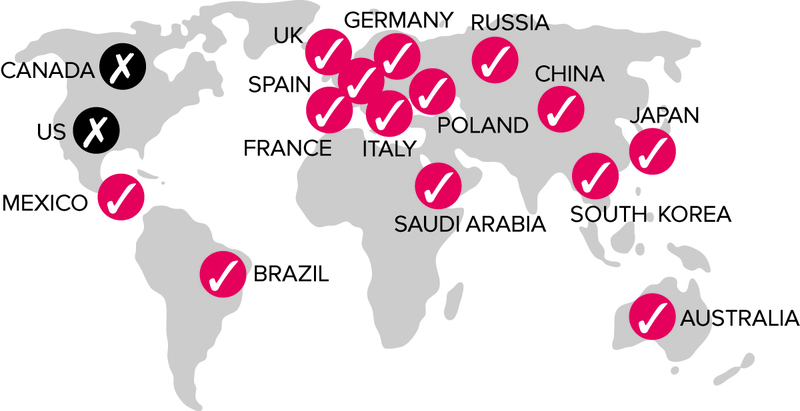 More than 60 countries including the European Union, Japan and China already label genetically engineered foods. Vermont a leader on this important issue here in the United States. We didn’t used to label foods with calorie, nutritional value, or allergen information, but we do now, and most consumers use this information every day to make informed choices in the supermarket. 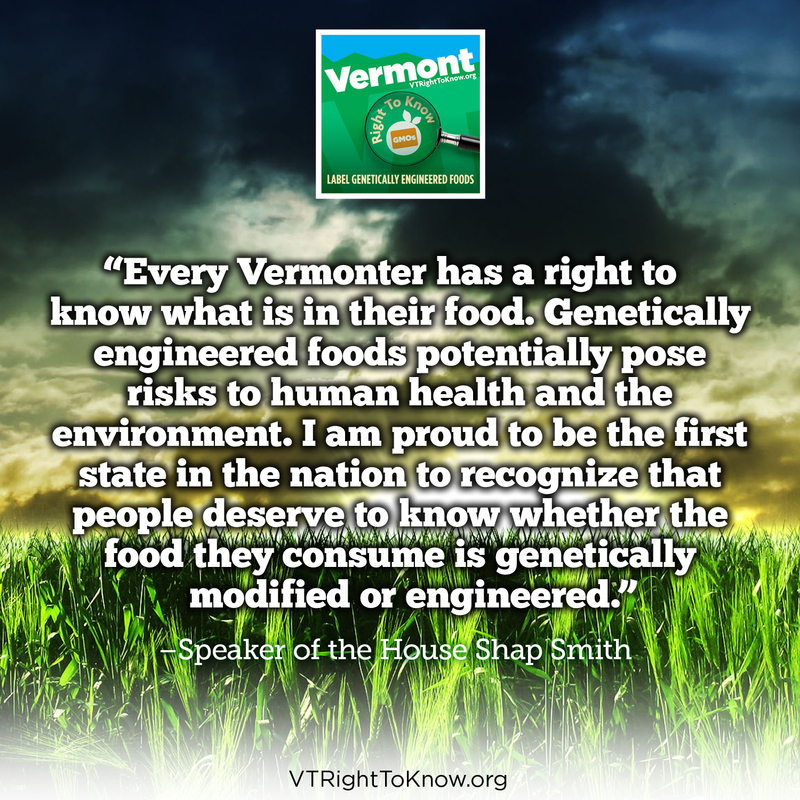 Our bill simply requires food producers to identify foods which have been genetically engineered on the label. 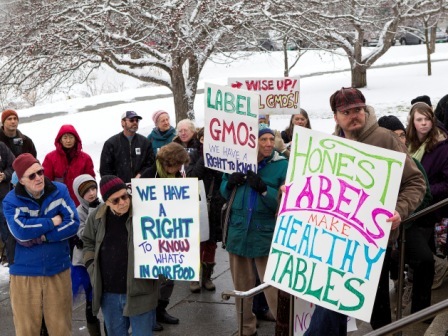 Vermont’s law is intended to have little to no cost impact on consumers or food producers. 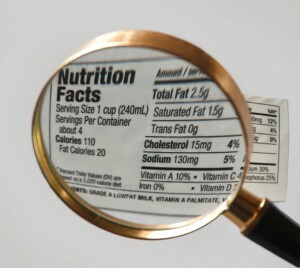 It simply requires that foods produced with genetically engineered ingredients be disclosed on food packaging or labels on store shelves for genetically engineered foods. 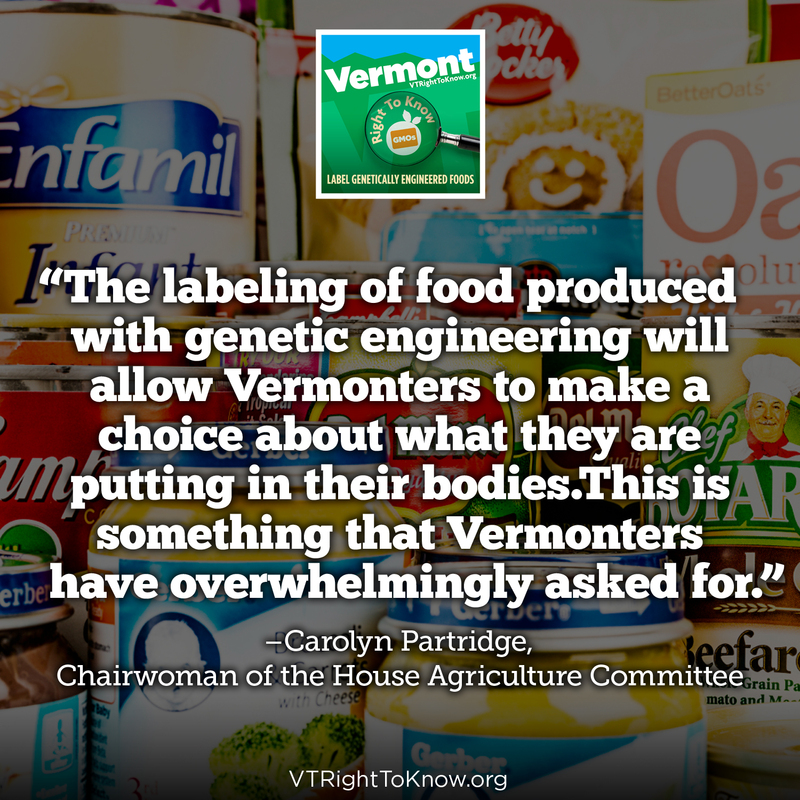 After years of research, advocacy, and grassroots pressure, Vermont become the first U.S. state to pass a ‘no-strings attached’ GMO labeling bill, Act 120, in 2014. 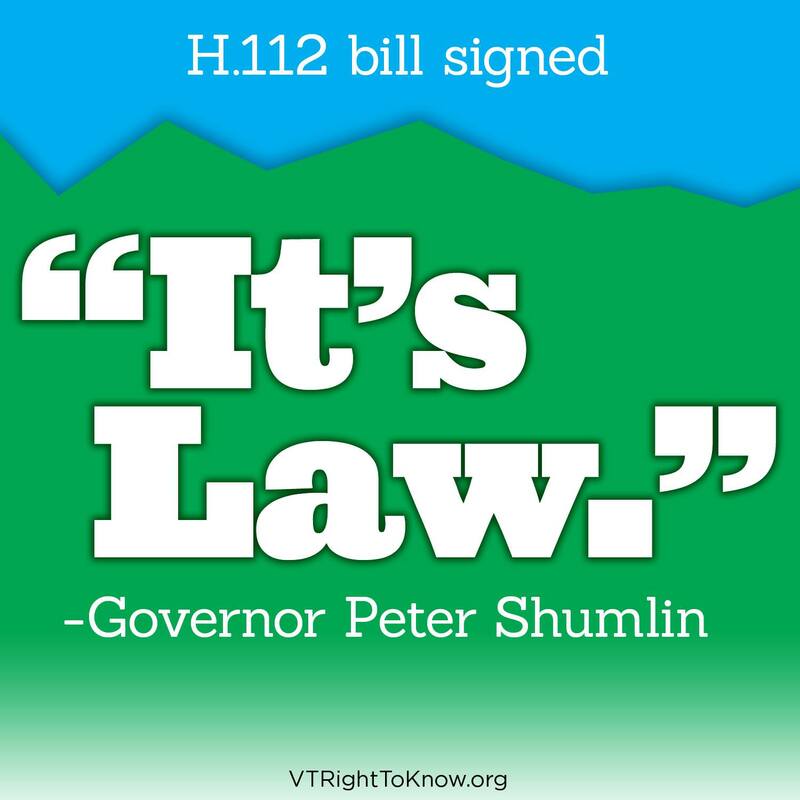 Governor Peter Shumlin signed the bill into law on May 8th, 2014 in front of the Vermont State House, supported by farmers, environmental groups, businesses, and individuals from Vermont and across the country. 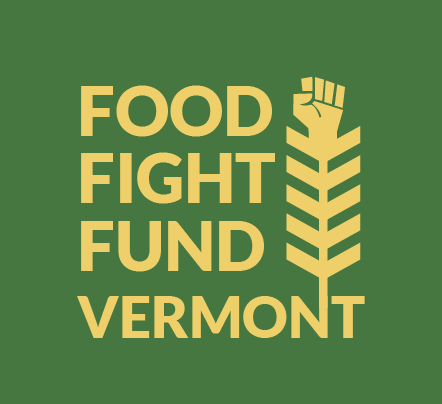 The Vermont Right to Know GMOs coalition continues to work to defend Vermont’s pioneering law in the courts and in Congress, where it is being challenged by corporate interests.